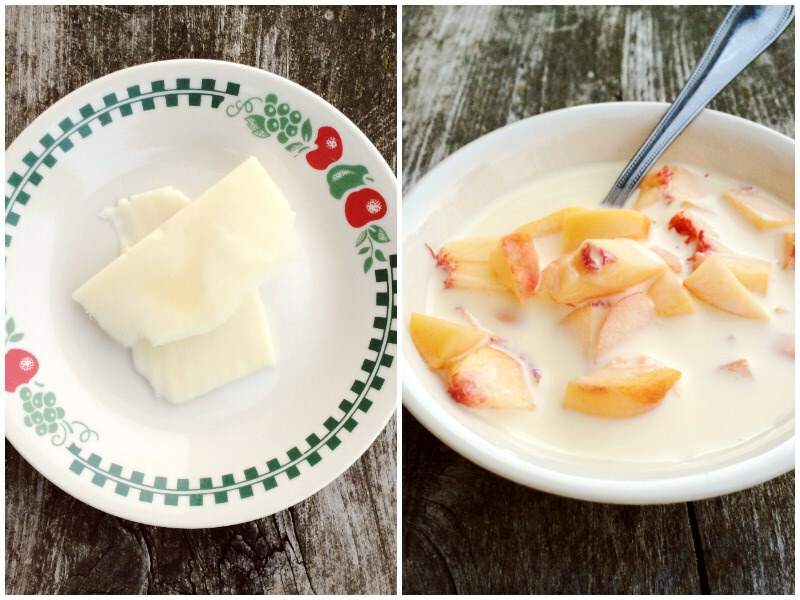 Funny story: I totally thought yesterday was Wednesday, so I started to document my meals. 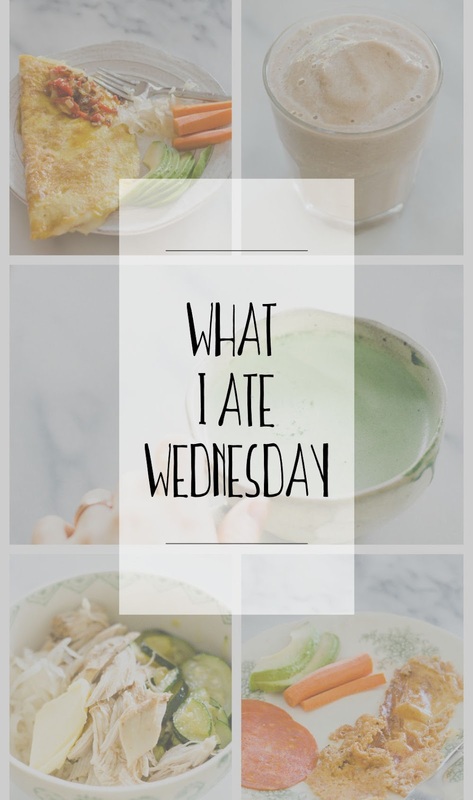 Once I realized my mistake, I figured I’d keep going anyway so you guys could have a What I Ate Wednesday post this week. So this was actually Tuesday’s food! 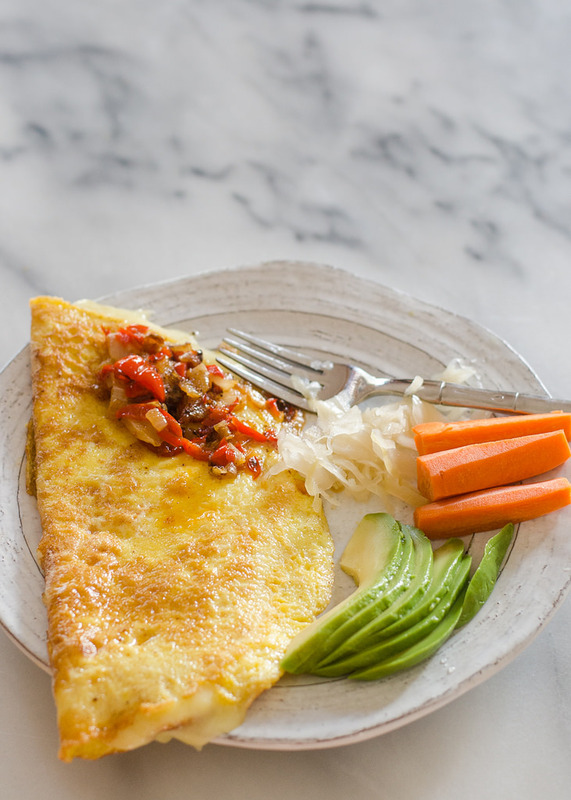 Cheese omelette with fried bell pepper and onions, avocado, sauerkraut, and carrots. 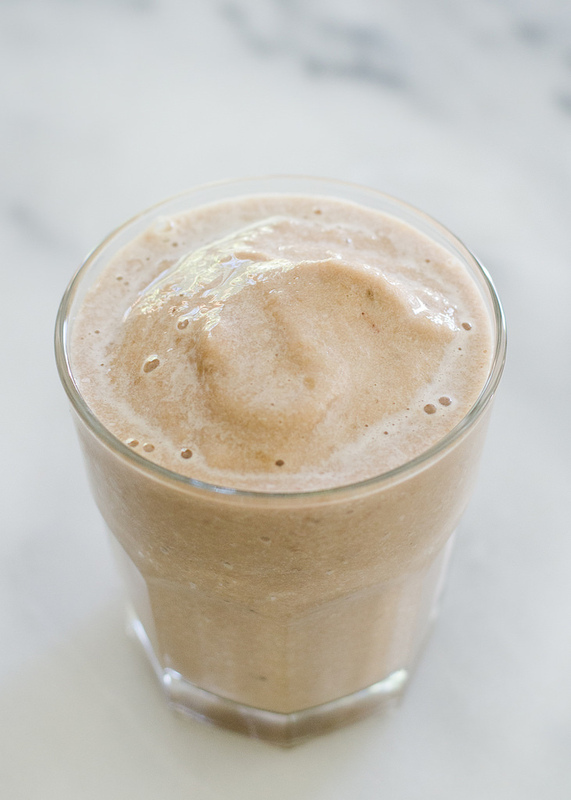 Banana Carob Smoothie (made with frozen bananas, collagen, carob powder, vanilla extract, and whole milk). It’s kinda like a healthy milkshake. 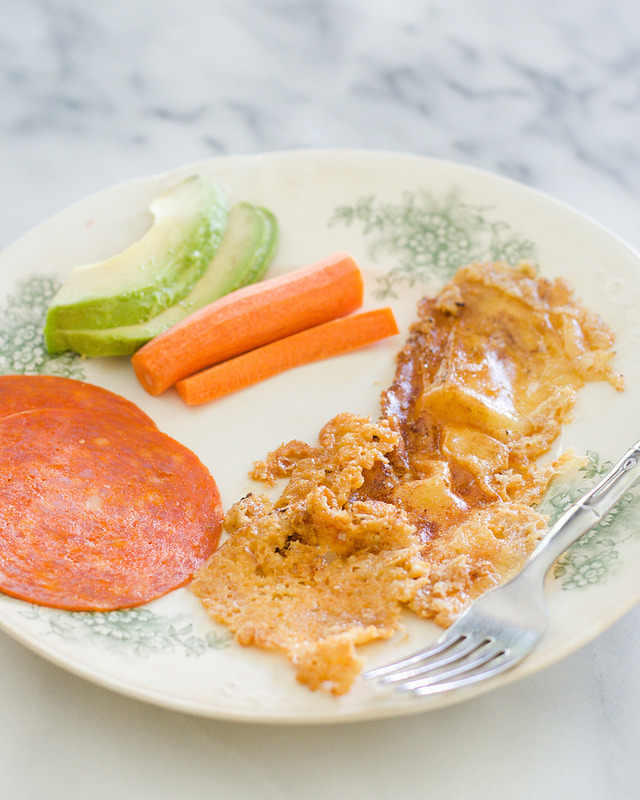 Fried cheese (Helen calls it “the crustiness”), Applegate pepperoni, avocado, and carrots. I shared this plate with Helen. 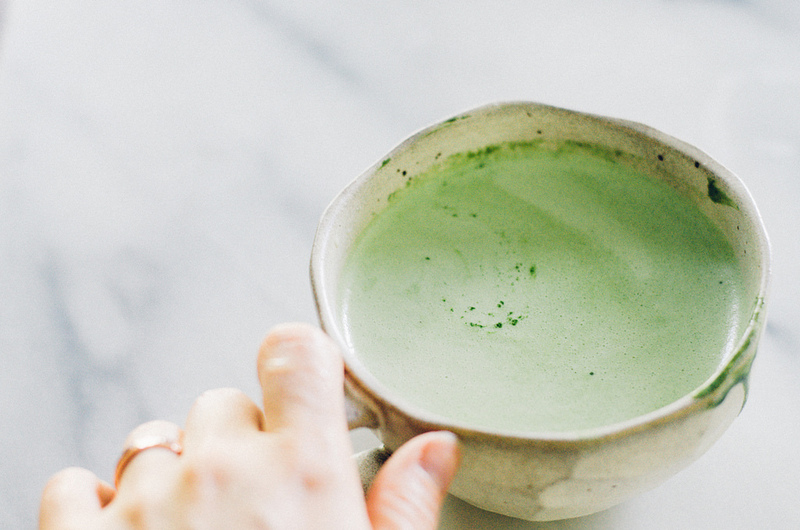 I’ve been really into matcha lattes lately. I’m working on a post for PW Food and Friends, so be on the lookout for that this fall/winter! 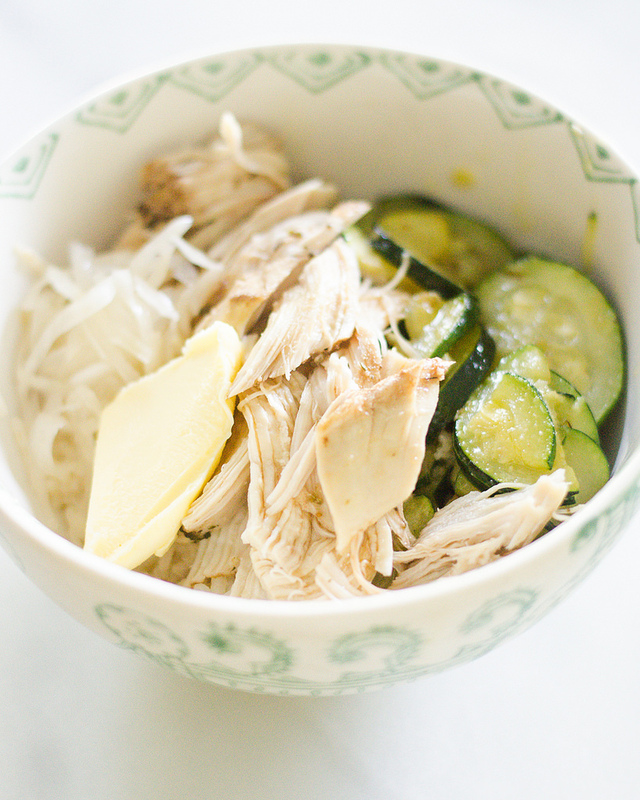 I made Korean-flavored chicken in my Instant Pot and served it with rice (cooked in chicken broth) and zucchini (sauted in butter with garlic and ginger powder). Of course I topped off my bowl with generous amounts of butter and a bit of sauerkraut. We went to my family’s house after supper. I stupidly forgot to bring snacks (when I’m nursing I get HANGRY), so I bummed some food off of my parents: raw cheddar cheese and peaches and cream. Mmmhmm. So that’s what I ate yesterday! By the way, if you like my What I Ate Wednesday posts, make sure to follow me on Snapchat. I often post meals we eat over there. My username is ericaleakastner. NOTE: Some links are affiliate. All opinions are my own. Thank you for supporting Buttered Side Up!